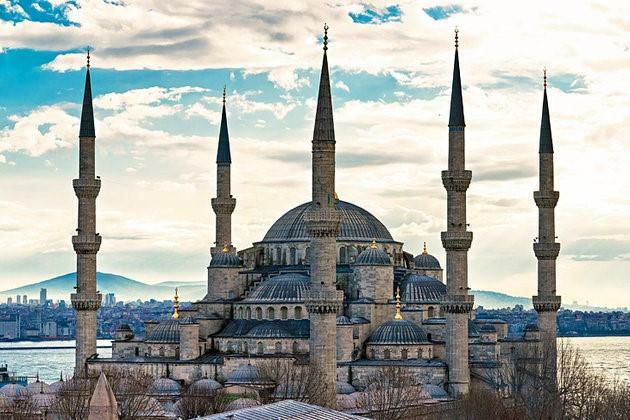 Sultan Ahmet I's grand architectural gift to his capital was this beautiful mosque, commonly known as the Blue Mosque today. Built between 1609 and 1616, the mosque caused a furore throughout the Muslim world when it was finished as it had six minarets (the same number as the Great Mosque of Mecca). A seventh minaret was eventually gifted to Mecca to stem the dissent. The mosque gets its nickname from its interior decoration of tens of thousands of İznik tiles. The entire spatial and colour effect of the interior make the mosque one of the finest achievements of Ottoman architecture.